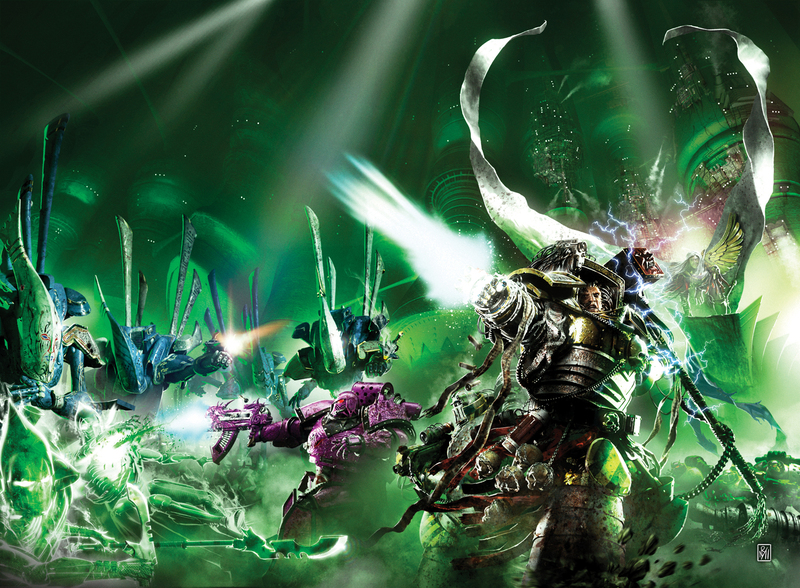 On Quintarn, the war against the Bloodborn rages, with the death-machines of Votheer Tark wreaking havoc against the armies of Ultramar. Torias Telion seeks out an enemy forge to cripple their power in a daring mission that must not fail! This was a story I was desperate to write. One thing I heard a lot of in the wake of The Chapter’s Due’s release was that people felt it should have been longer. Though the novel was already 25% longer than most BL novels, that’s a fair comment, and if I’d written everything I planned to write in the synopsis, it would have been twice as long again. I wish I’d had space and time to cover the wars alluded to in that book, to really grasp the nettle of how huge this war had become. The triple realities of deadlines, word-counts and narrative pacing meant that was impossible. Plus, the Ultramarines books were – at heart – Uriel’s story. Sure, I was broadening out the scope of the books to be more about the 4th Company as an entity in itself, but the captain was still its focus. 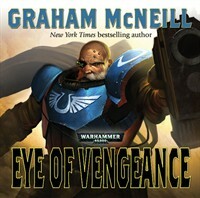 So Eye of Vengeance was a chance to return to that campaign and tell some of those untold stories. Of all the special characters in the Space Marines codex, the one that really resonated with me was Torias Tellion, the veteran scout sergeant of the 10th Company. Here was a guy I could have fun with, going behind enemy lines, being all cocky and cool, and pulling off some nifty sabotage. The story was always intended as an Audio Drama, the first I’d had commissioned (The Dark King was a short later turned into an audio). I was still new at audio, so decided to write the story as normal, then turn it into a script for reading and recording. That felt like the best way to get what I wanted on the page, before burdening myself with the stop/start of a script’s formatting requirements. In fact, that’s still the way I work. The demands of an audio drama are very different to those of a conventionally told tale. You need to keep your character pool small and make each one’s voice (not just the way they speak, but what they say) suitably different for the listener to pick them out from one another. Having cool sound effects, big noises and stuff that sounds cool on an audio is also important, so having the characters pass through an armoured battle, then infiltrate a Dark Mechanicus forge-temple was a gift to audio. I enjoyed writing this story, and while it’s rare for me to go back and read/listen to the stuff I’ve written in its entirety, I sat back and listened to this with a big, goofy grin on my face. Personal bias aside, the production of this audio has been my favourite of all the BL audio dramas. The gunfire, the explosions, the effects, the hellish workshop, the titan… Oh, didn’t I mention the stomping great High Priest Warhound Titan?